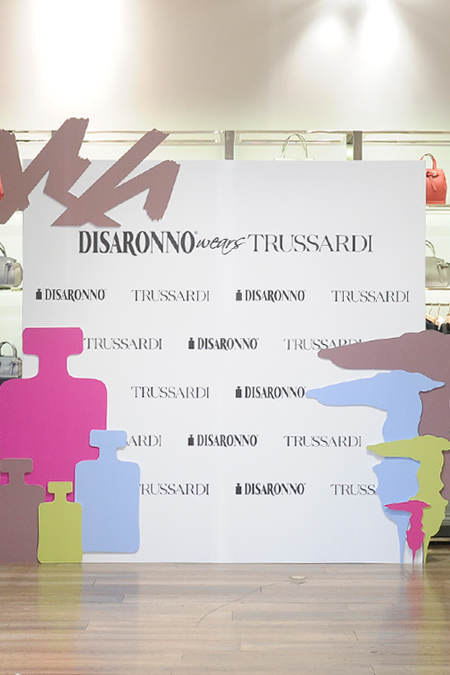 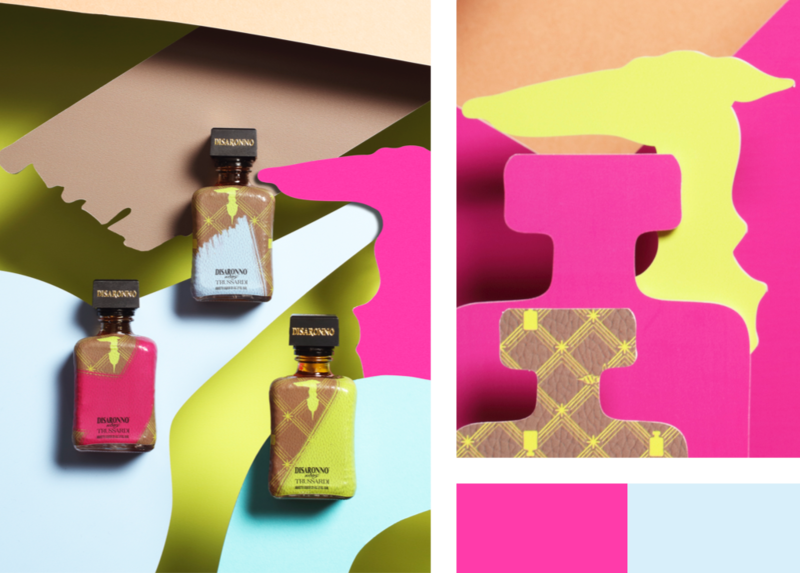 The classic Trussardi texture and greyhound logo meet the unmistakeable shape of a Disaronno bottle, with brushstrokes of fuchsia, green and blue framing the famous label. 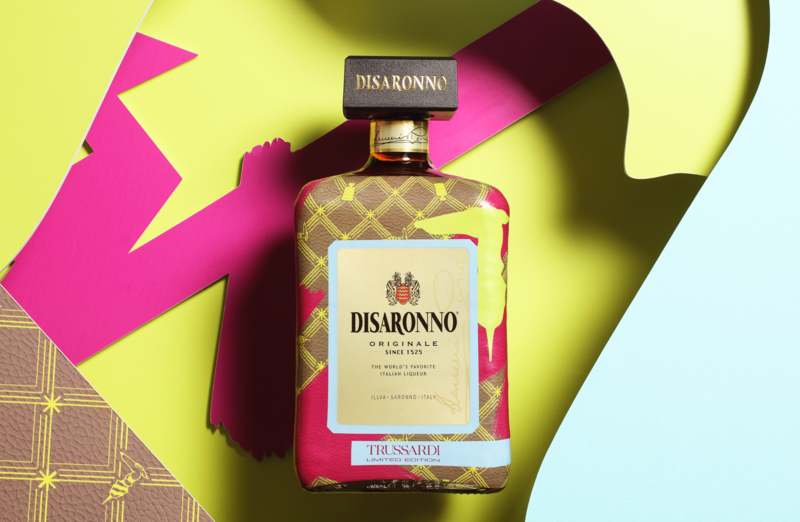 This is Disaronno wears Trussardi, the new 2018 Limited Edition. 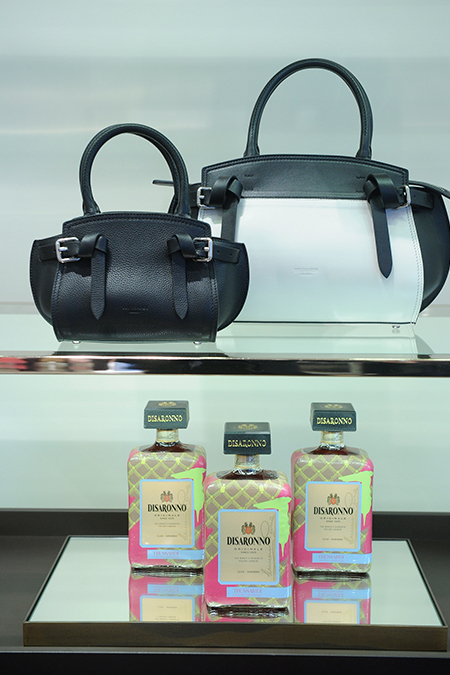 Two iconic Italian lifestyle brands driven by the same values: contemporary style, innovation and tradition. 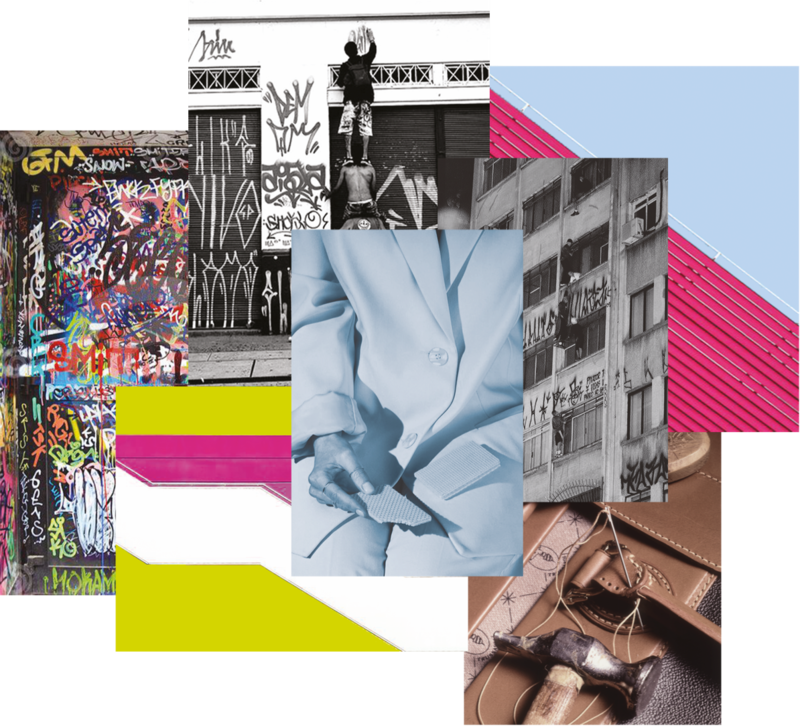 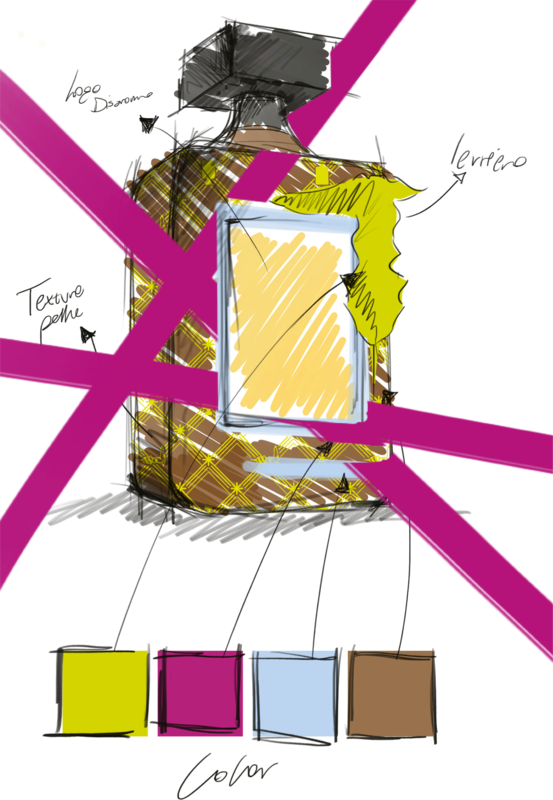 The inspiration was drawn from street art, from the graffiti and murals found on the streets of Milan, expressing the city’s modern and contemporary side. 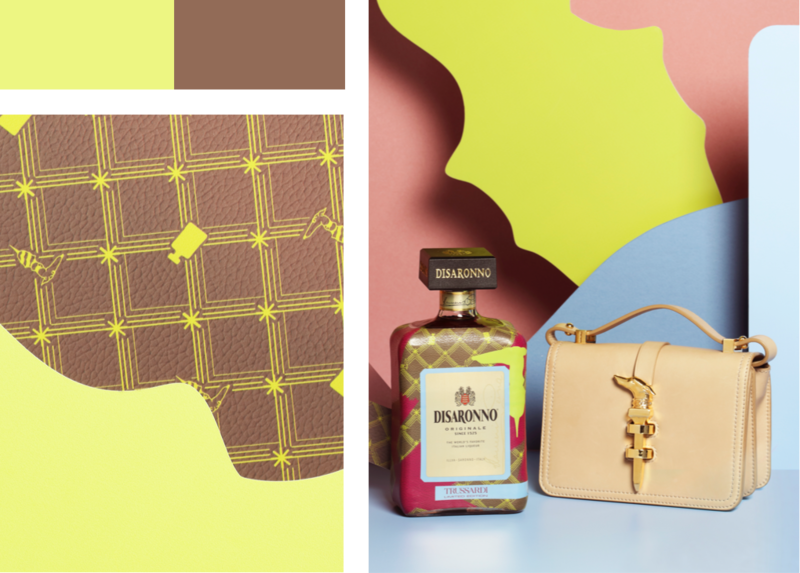 The greyhound, the emblem of the Italian lifestyle company, appears in shades of fuchsia, green and blue, for a contemporary, pop-art look that epitomises Trussardi style. 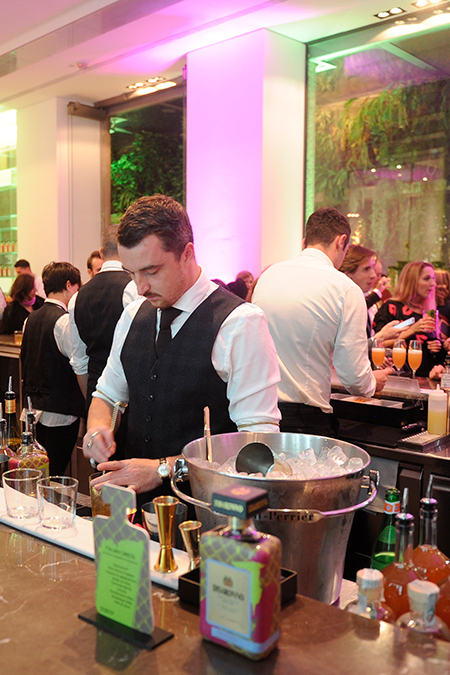 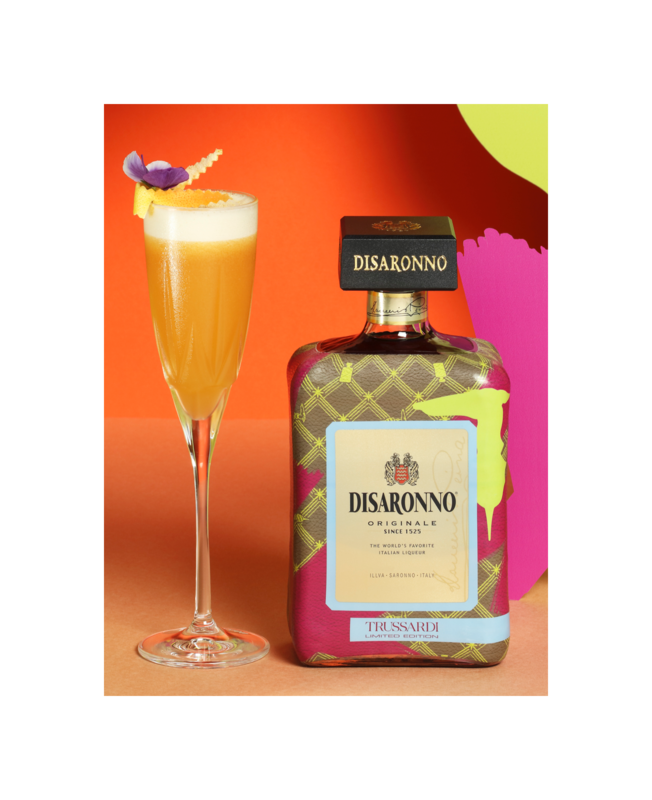 A cocktail designed by the barmen at Café Trussardi to enhance the flavour of Disaronno liqueur. 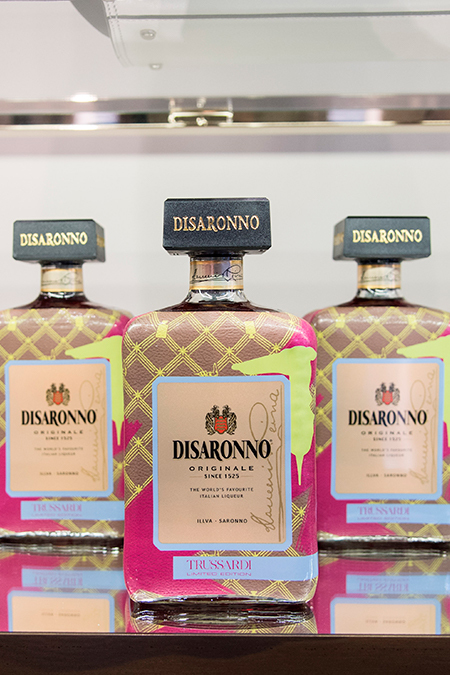 With its distinctively fresh flavour, created with ingredients such as sour mix and lime, this cocktail perfectly complements the Disaronno. 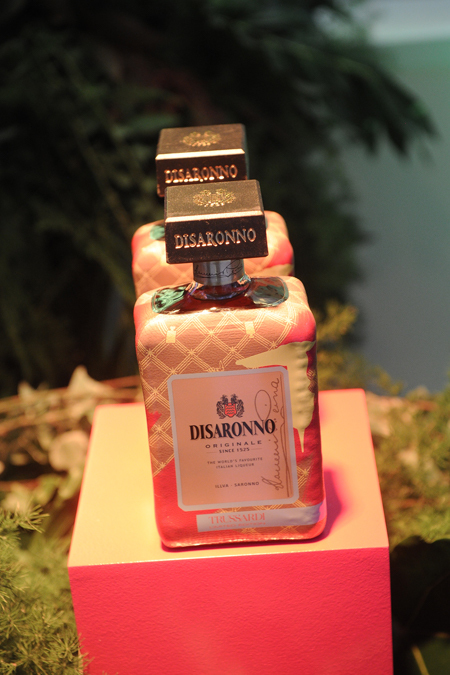 The Disaronno wears Trussardi limited edition was revealed at an exclusive cocktail reception in one of Milan’s most prestigious venues. 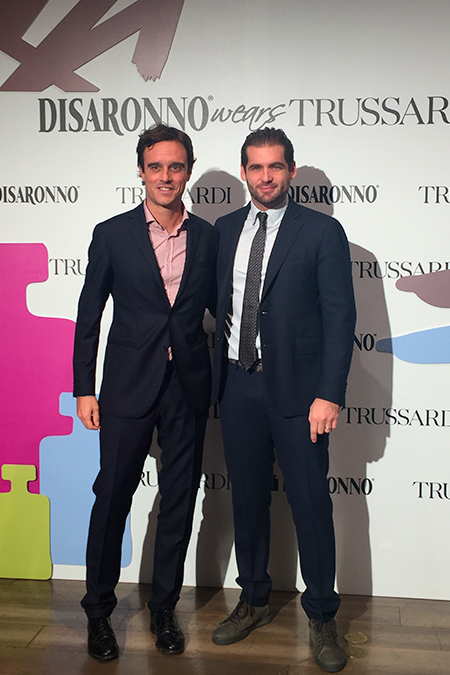 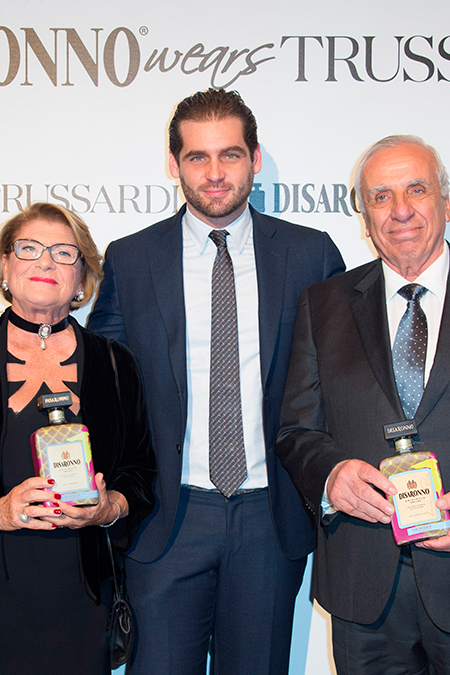 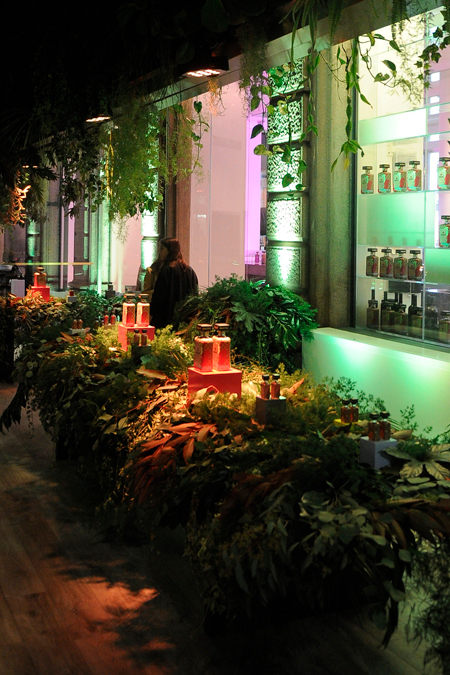 A celebration of two quintessentially Italian brands: hosted at Café Trussardi in Milan’s Piazza della Scala, the event combined fashion, music and flavours, with the #DisaronnoWearsTrussardi limited edition taking centre stage.